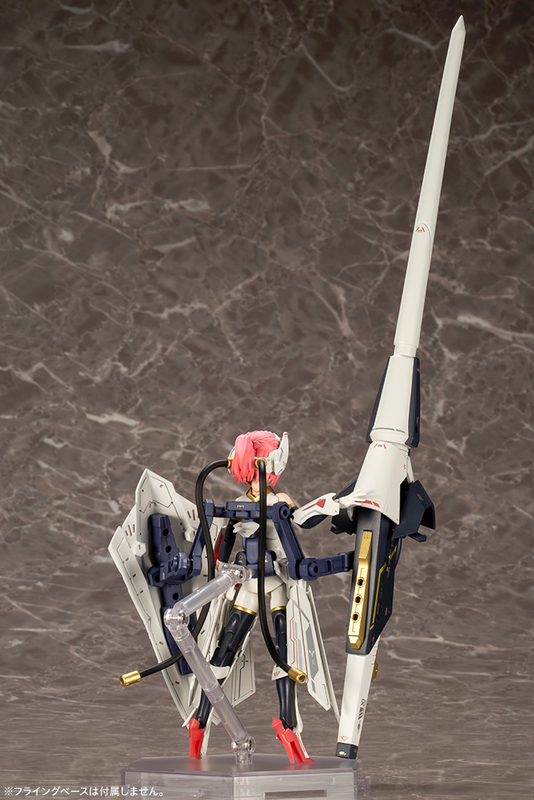 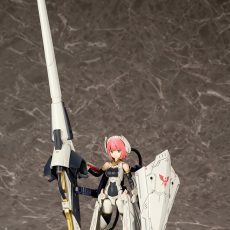 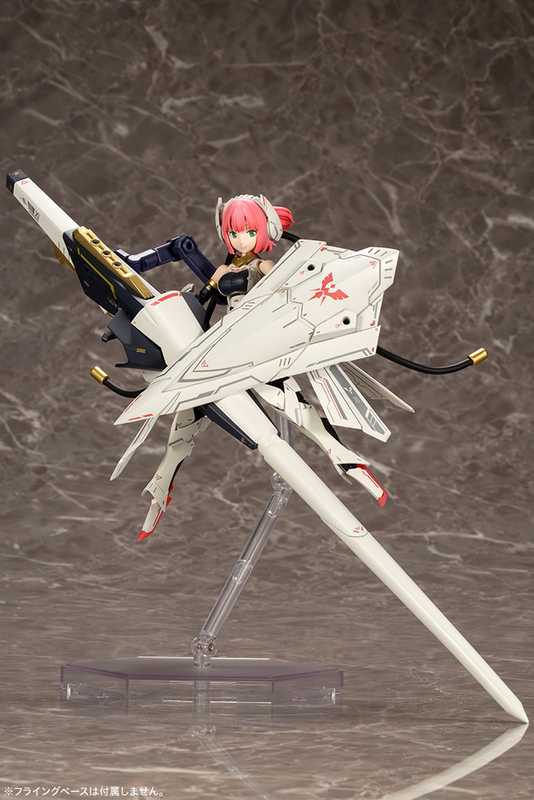 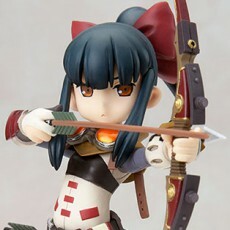 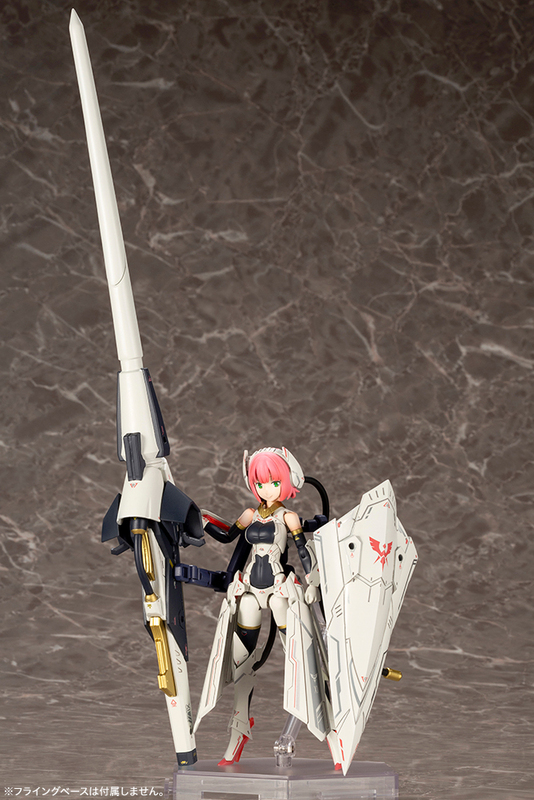 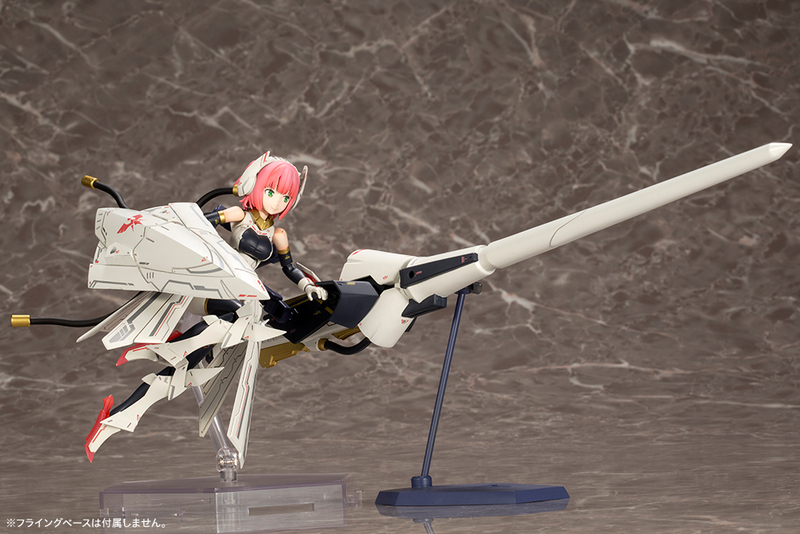 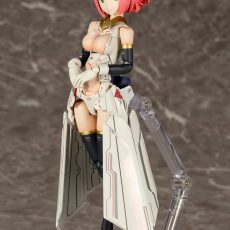 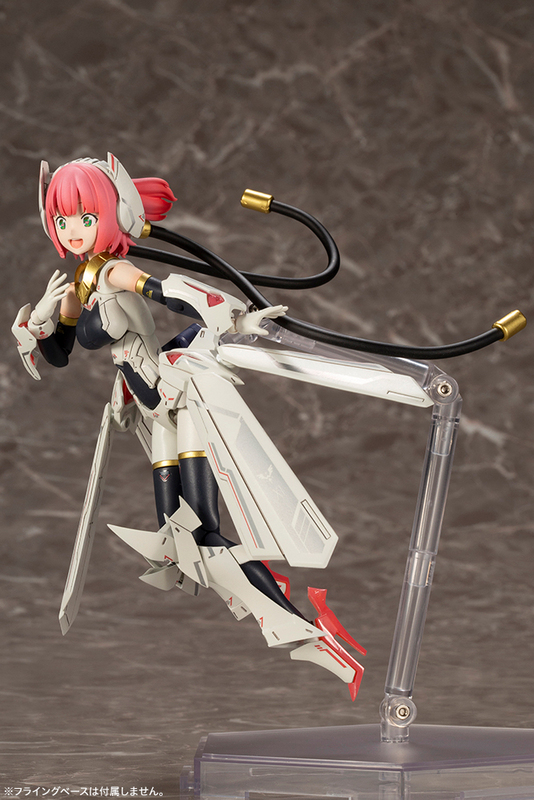 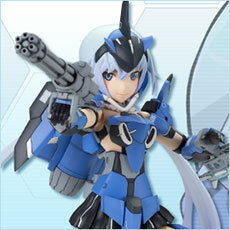 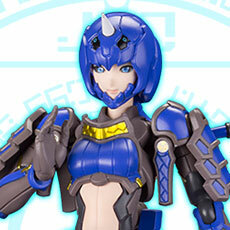 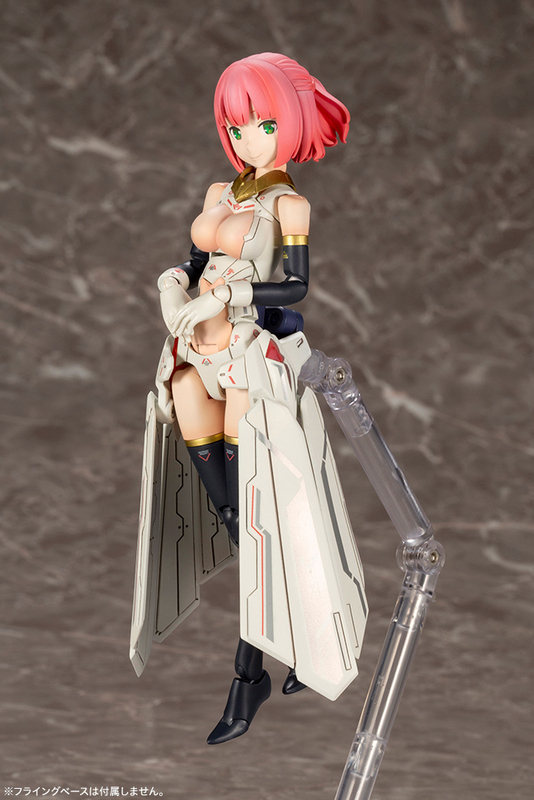 ・The model’s oversized lance and shield can be attached to the arms that extend from her back. 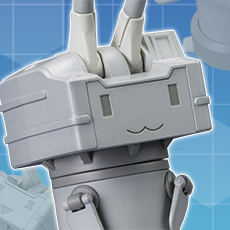 The kit also comes with special bases for the equipment for additional support. 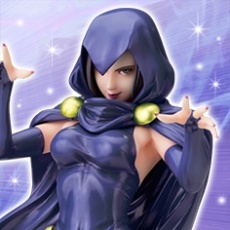 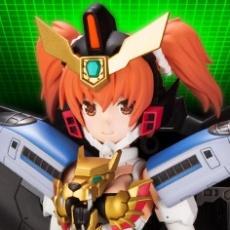 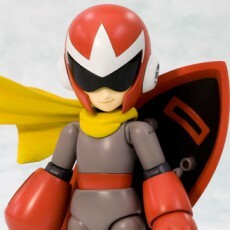 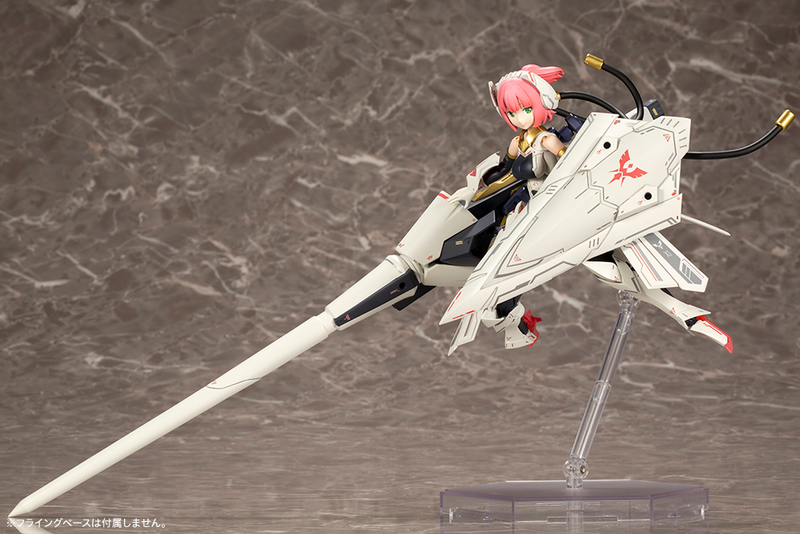 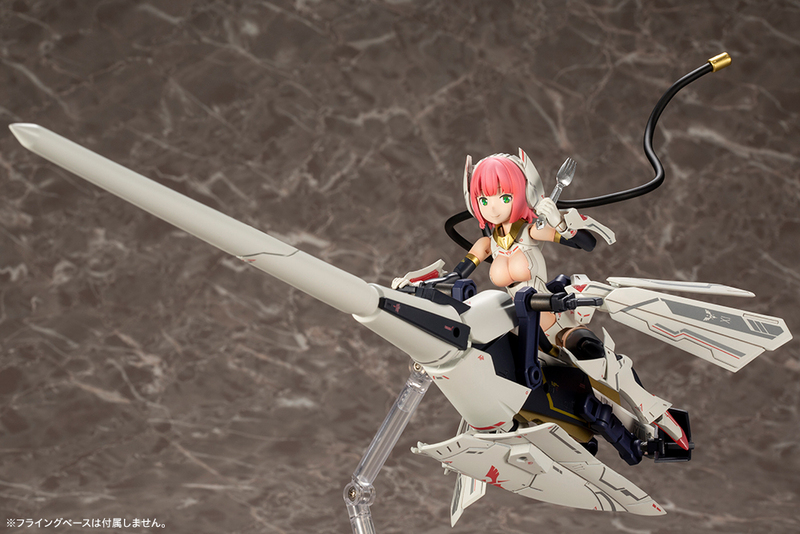 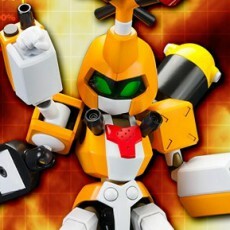 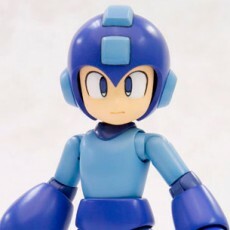 ・The weapon can be reconfigured into “Ride Mode” to serve as a vehicle for the Megami. 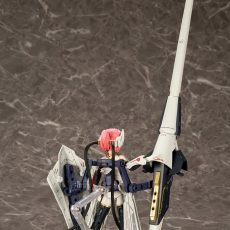 ・The lance can be separated into three parts, and the arms on the back have several points of articulation, allowing the model to be displayed in a variety of poses. 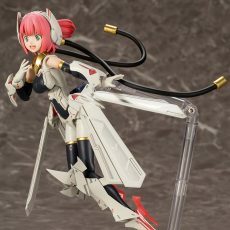 ・The tube that extends from the back of Lancer’s head is created with wire, allowing it to be bent and displayed in different designs. 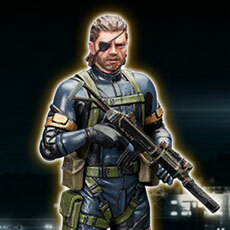 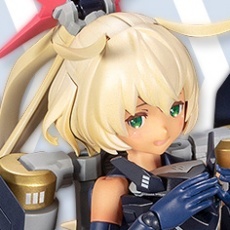 ・The kit includes decals for the eyes and metallic decals for the markings. 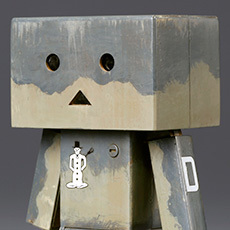 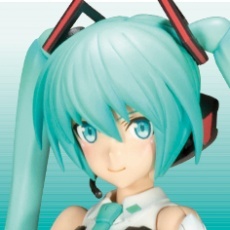 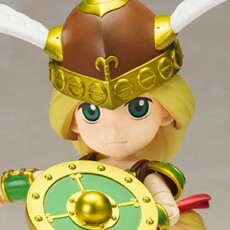 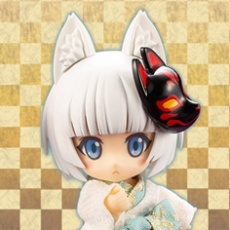 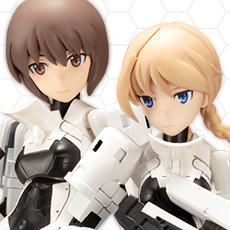 ・The kit comes with three interchangeable face parts. 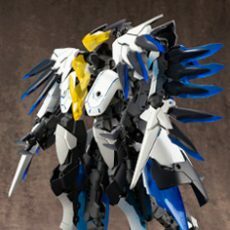 ・The “Machinika” body base boasts an impressive range of flexibility, allowing it to be displayed in a variety of natural poses. 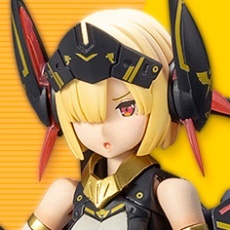 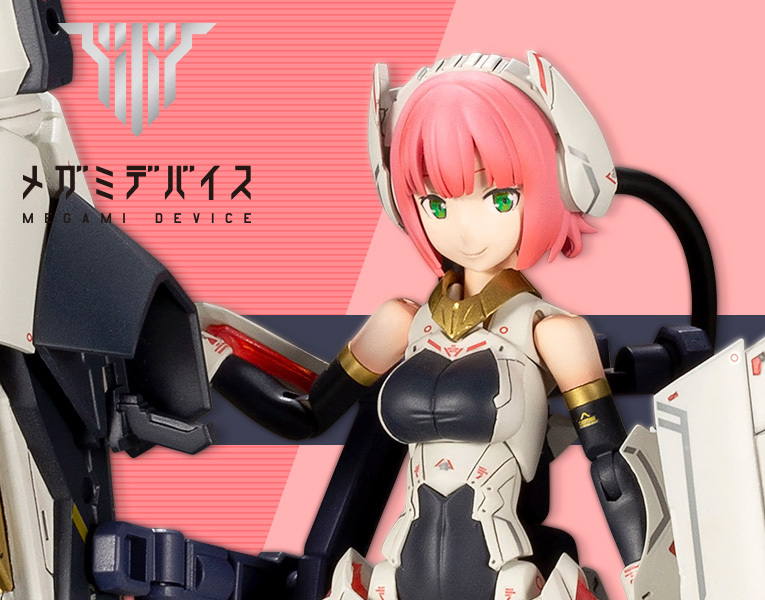 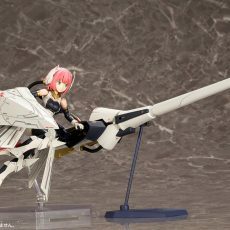 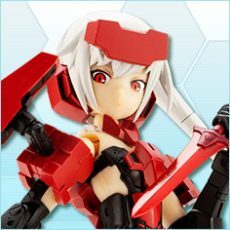 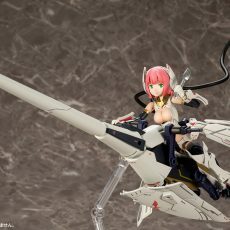 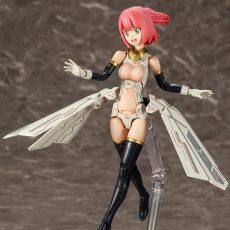 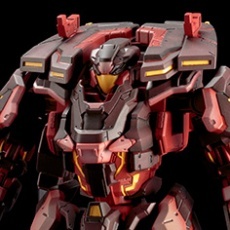 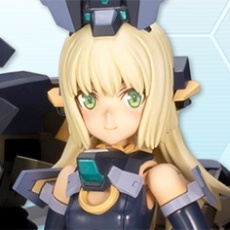 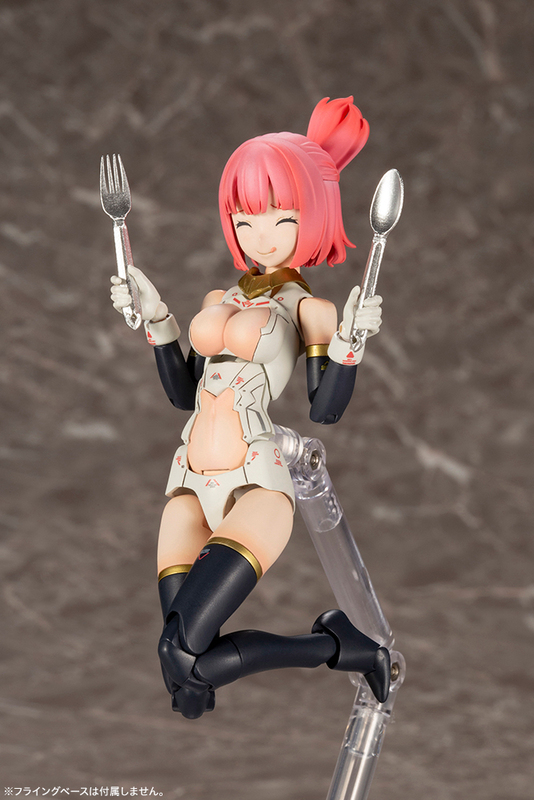 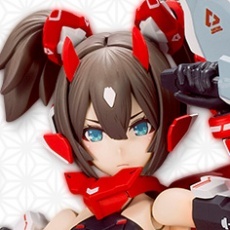 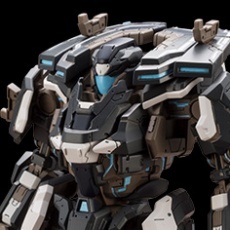 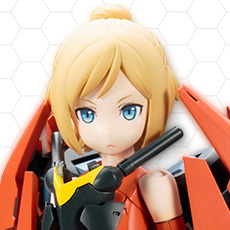 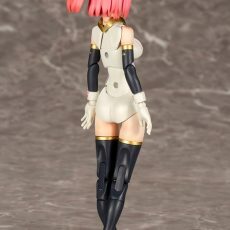 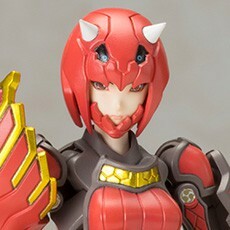 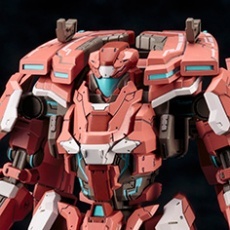 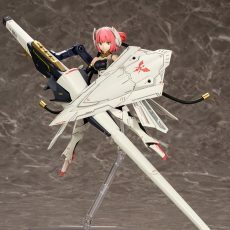 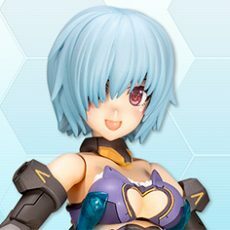 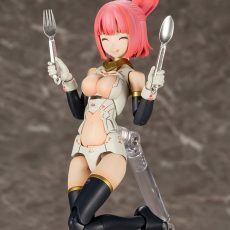 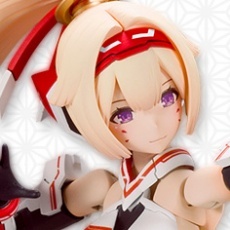 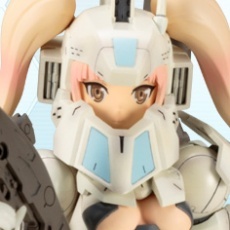 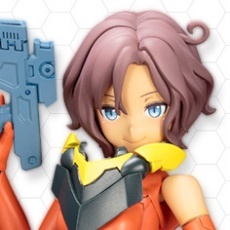 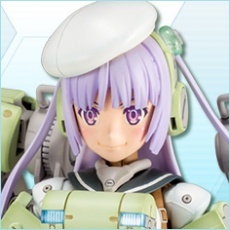 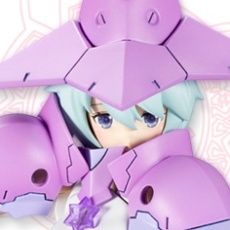 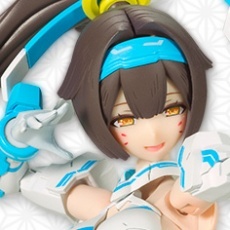 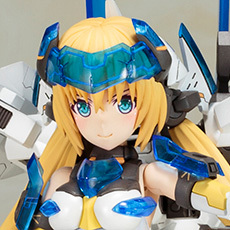 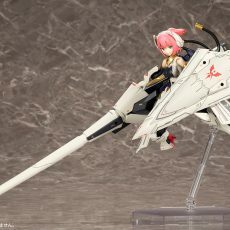 ・The model is equipped with several 3mm connection points, making it compatible with existing M.S.G, Frame Arms, and Frame Arms Girl weapons and armor.